Aging: What’s Happening? And NOW What do I Do ? – What memory, physical health, and mental health changes might happen? – When should I worry? – What can I do to manage these changes? The workshop will take place on Saturday, April 6th at the First Parish Church of Yarmouth from 9:30 am to 2:30 pm (doors open at 9 am). Join your friends and neighbors for this important conversation and learn about available resources! Participation is free and LUNCH will be served. Please click here to see the flyer for this event. Posted on March 8, 2019 Author leighmkCategories Aging in PlaceTags PresentationsLeave a comment on Aging: What’s Happening? And NOW What do I Do ? Please click here to view the flyer for the next free Senior Luncheon, coming up on Wednesday February 13th at the Sacred Heart Church Hall. The presentation, about a large art theft in Portland, will start at 11:30 am with the luncheon to follow at noon. 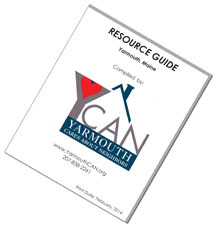 The Yarmouth Aging In Place initiative has published their latest update of local activities that may be of interest to Seniors. You may read it by clicking here.